I’m not exactly sure how one does that – make up for lost time. Perhaps one begins by recognizing that future moments must be met with arms wide open and an abandon that we typically temper with reason. While I was away I received two blogger awards which I wanted to acknowledge in a separate post, because both of these women are so remarkable that their stories deserve more mention than I could provide in yesterday’s posts. 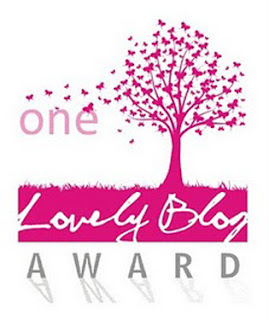 I received the One Lovely Blogger Award from the remarkable woman who writes the blog workthedream.com. danLrene is a woman with remarkable spirit and humor – despite or maybe because of – significant physical challenges that she refuses to use as definitions for who she is. She realized her dream of living in the mountains and her journey often left me shaking my head with wonder and respect. On her post is a quote which typifies her beliefs – ‘dare to dream of a greater thing than you can imagine’. With bright red leg brace, portable oxygen unit and a heart that probably is larger than the mountain range itself, she moves forward with spirit and generosity. I am humbled that she would find the time to read my blog, let alone accord me with such an acknowledgement. 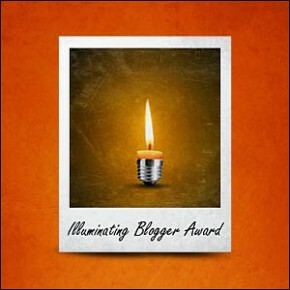 The Illuminating Blogger Award was graciously given to me by Dr. Sherry Showalter who pens a blog titled keepinitreal.com. Dr. Sherry is a spiritual wonder woman. With a PhD and L.C.S.W, she has devoted her life to providing caregiving and advocacy for patients and families coping with loss, death and bereavement. Serendipitously, I won her book “Healing Heartaches” in a random drawing – though I wonder now whether it was truly happenstance. Her blog is a free form, stream of conscious shout-out to life and her loving exuberance demands that you smile – she will not settle for less. The post she wrote in which she acknowledged my blog, was really more about a young man who is no longer receiving treatment for his terminal illness. I was riveted and sad and thankful that he has the power of Dr. Sherry with him. He is a remarkable spirit and I wept for his impending journey and his family who are facing this reality with him. Her compassion and passion envelop each word and each request that we hold this child in our thoughts. Interestingly, this post was more formally written than usual – and appropriately so. I think of him each morning and send up a little prayer. Dr. Sherry is part Native American spiritual healer, part good ol’ girl from southern Virginia (and I mean that in the most complimentary of ways) and all live-affirming energy. I know there are rules to these awards, but somehow inconsequential factoids about me seem to dilute the stories of both of these women. This post is for them – remarkable women who have entered my life through their words, spirit and wonder. And I am very, very grateful to them both.